Once upon a time, real pepper was adulterated with this spice because it was thought of as perhaps not inferior, but certainly it was cheaper than pepper. In fact, this pepper was banned by the Venetian Spice Traders! Now the tables are turned and there aren’t too many places where this spice grows and even less places where you can buy it. 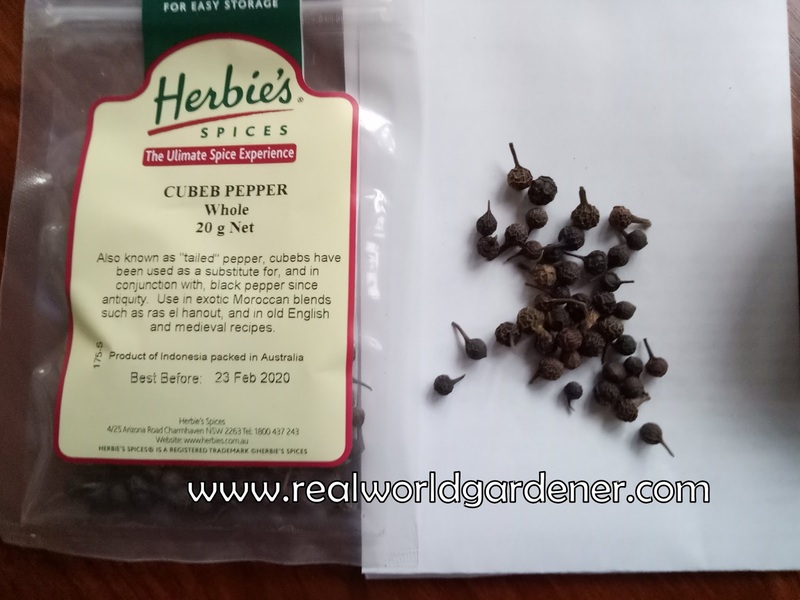 Cubeb pepper grows as a vine with heart shaped leaves, mostly in the Indonesian Archipelago. Interestingly, it's similar looking to pepper ixcept for that spiked tail. Did you know that the spice blend Ras el Hanout has 20-30 different spices in it and Cubeb Pepper is one of them? 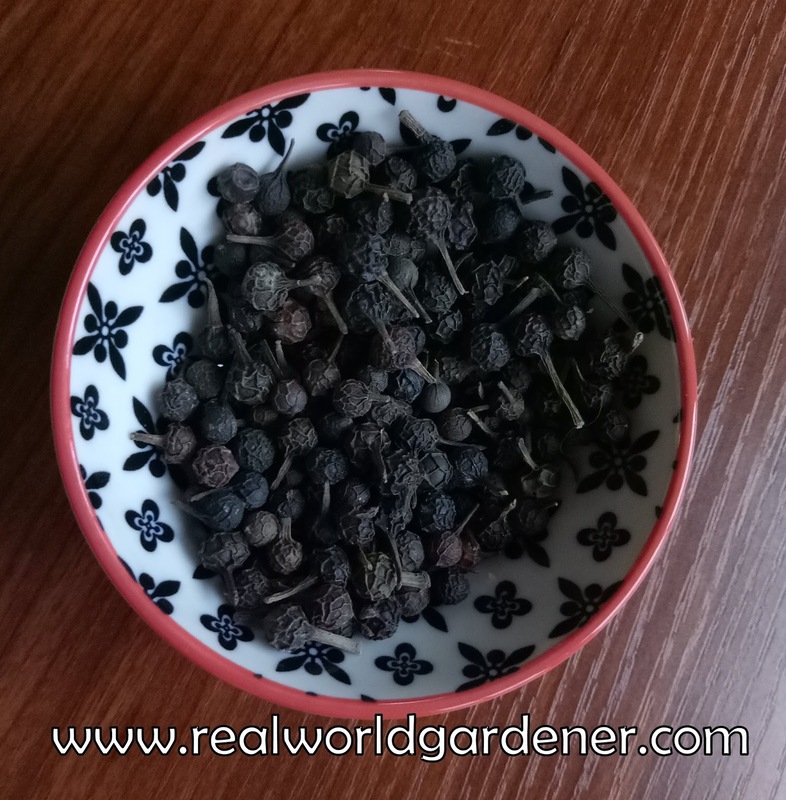 As Ian mentioned, don’t put cubeb pepper in the peppermill and use ¼ teaspoon of this pepper with 1 teaspoon of normal ground black pepper. Great for those pepper steaks, slow cooked meals and with rich meats such as pork,duck game. 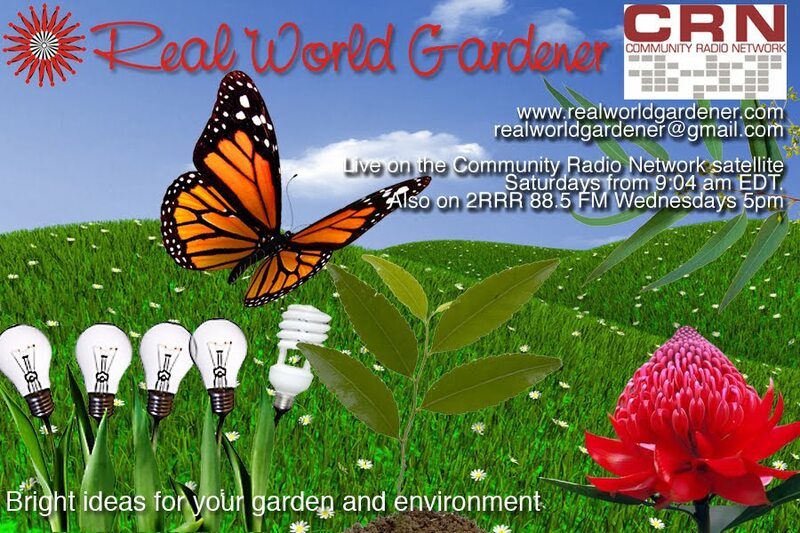 If you have any questions about where to get Cubeb pepper, drop us a line to realworldgardener@gmail.com or write in to 2RRR P.O. Box 644 Gladesville NSW 1675. 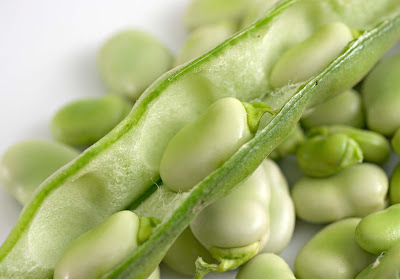 Where Did the Term Bean Counters Come From? Will the Real Bean Please Stand Up! 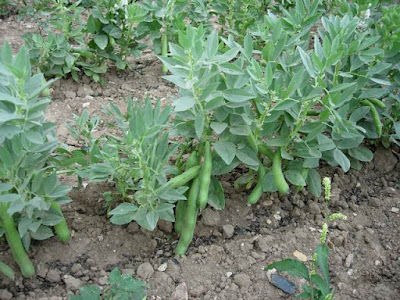 For a long while, when cooks and mistresses went to the markets for beans, they were buying only broad beans because they were “ ‘the bean’, for century after century”. Only after “scarlet runners, haricot, kidney and butter beans” turned up, did “a distinguishing adjective” become necessary. Looking different from other beans is their thing. TIP: Best of all, they are hardy, easy to grow. 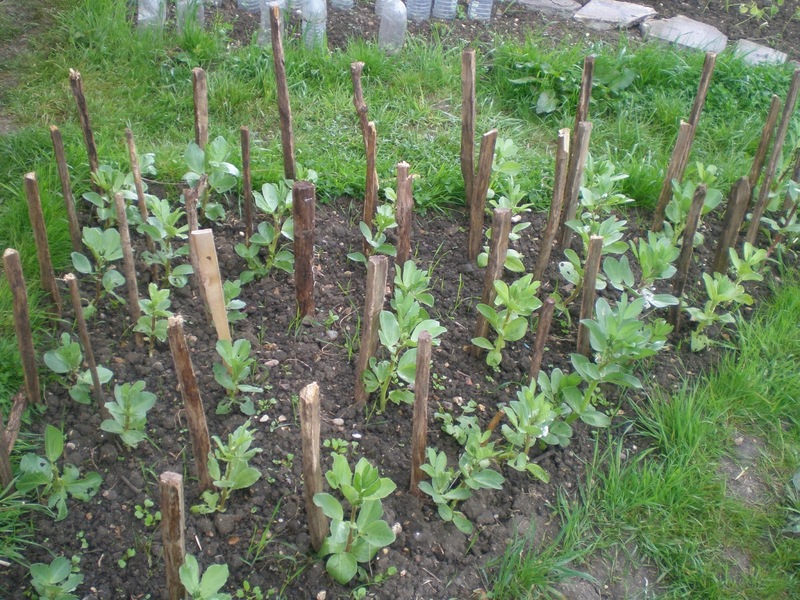 Beans and FrostIf your district experiences a bit of frost, flowers formed during frosty weather are probably not going to set pods. 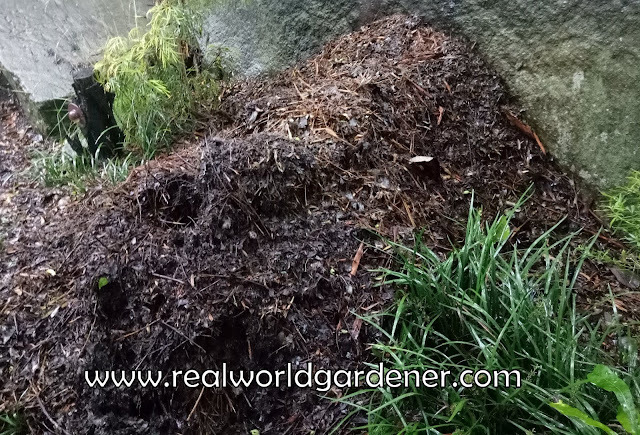 Do you mulch your garden? I hope you all answered, yes? If you do what sort do you use? 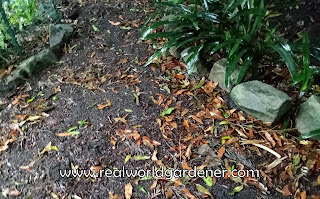 Do you use black plastic, pebbles, gravel, scoria? Or do you use pine bark fines, leaf mulch, or your own shredded green waste? There’s quite a few to choose from and quite a few to steer away from. The reasons for mulching is to keep the soil moist when it’s hot, and to keep the soil warm when it’s dry, in other words, it’s keeping the soil temperature constant. 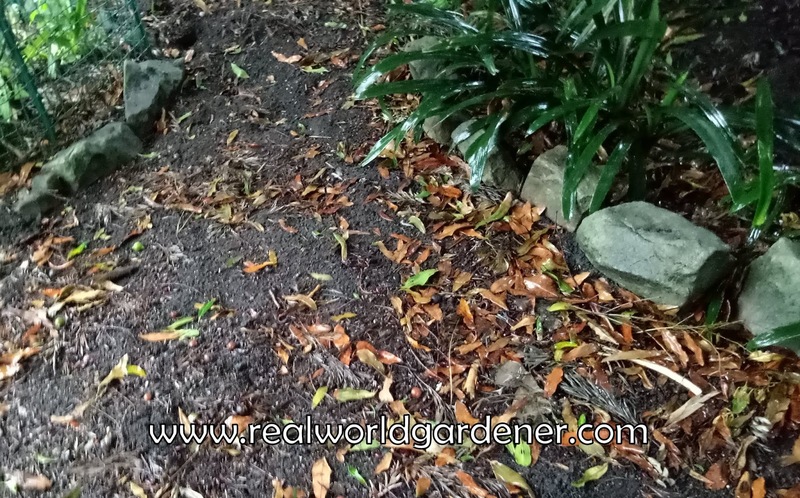 Mulch is a good all round gardening task, but mulches free of viable weed seeds, such as leaves, good compost, and wood chips are best. New Salvias-Salvia "Black and Bloom." 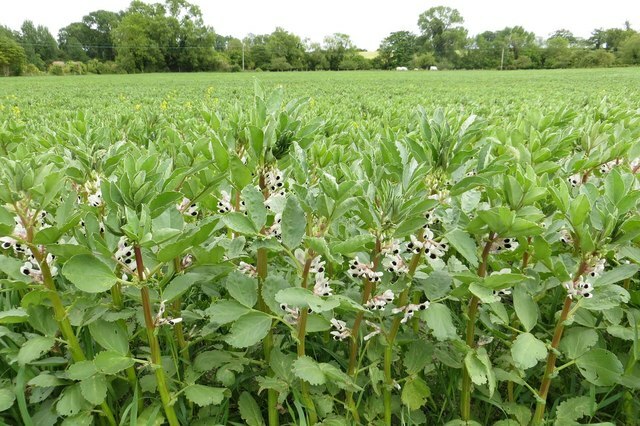 Plant breeders are always looking for new varieties of existing plants for qualities such as larger flowers, longer flowering, disease resistance, more compact and in some cases self-cleaning. 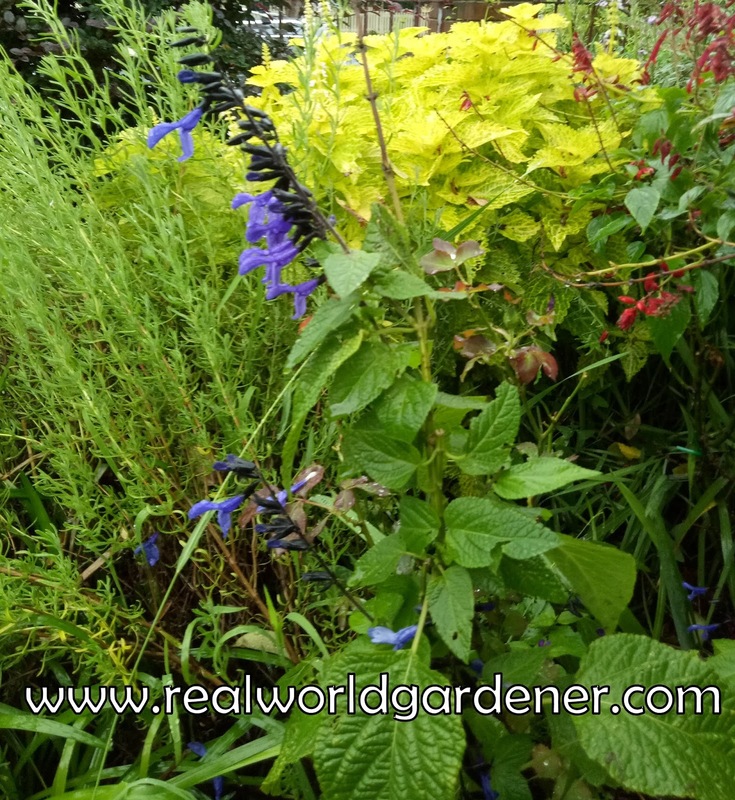 But if you’re looking for plants that flower all year round with the minimum of care, then listen in carefully to find out what are some new varieties of an long flowering compact perennial. Victoria Blue-is an old school Salvia. Salvia "Black and Bloom." supports The Foundation for Mental Health. Black and Bloom is very vigorous and the flowers are a true blue and black. 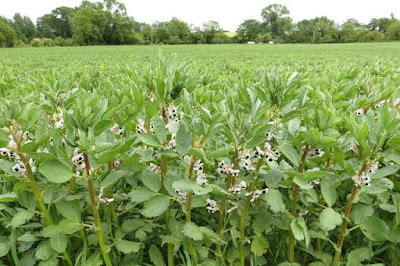 Many small growers grab anything they can call ‘new’ without knowing much about the plant. Some people love to put new names on salvias which causes terrible confusion for the gardener. But whatever you call them, they are rugged plants which grow in just about anything from rubbly clay. friable perfect loam, providing they are well drained or even sandy soil. So get to it and grab some of those new salvias. 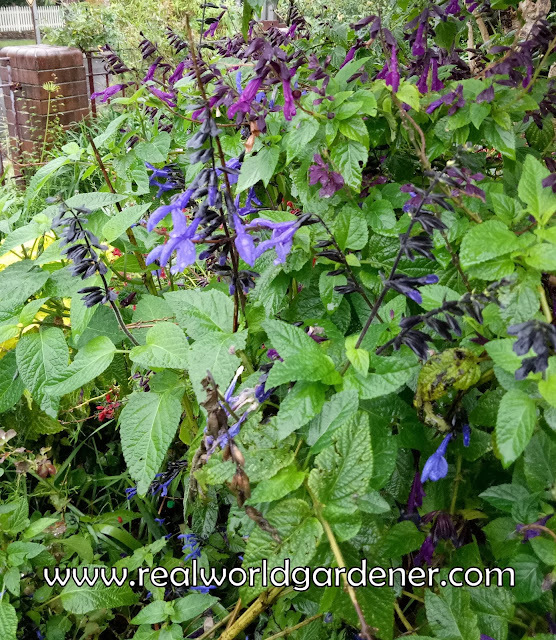 Thanks for sharing, black and bloom salvias are some of my favorite!